I did something this year that was new for me - making a list of the good things from the year. My good things do include some THINGS, but there are also good practices, habits, experiences, and people. The good things range from teaching your children to read and learning Calculus, to making sure YOU look stylish. As a homeschooling mom I have learned it is important to remember YOU. We must feed and nurture ourselves. We must appeal to the sense of wonder and beauty within ourselves if we are to nurture that in our children. So this list includes a lot for the moms - and a few things for teaching the kiddos, too. I’m going to jump around here a bit - I’m sure there will be at least one GOOD THING here you’ll want to try! I wanted to try Stitch Fix for a few years. I bit the bullet in 2018 - I stopped shopping a lot in regular stores and decided to invest in a few well made and styled pieces from Stitch Fix. I have truly LOVED my Stitch Fix selections. They are unique, stylish, and fit me very well (I always have trouble finding flattering pants and dresses - Stitch Fix has solved this problem for me!). I have the best fitting pair of jeans I have ever owned, and several functional pieces for my wardrobe. I’ve received a couple of jackets that I have been able to wear during ALL seasons. And, I love wearing dresses, and my stylist sends me the cutest ones! 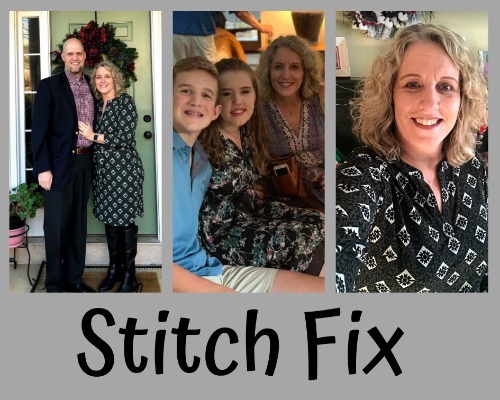 Stitch Fix has been worth EVERY PENNY - I shop less, look better, and actually think I might SAVE money because I am not shopping willy nilly at places like Target, TJ Maxx, and Kohl’s. Because reading is such an integral part of my life, I have gotten quite attached to my local library - AND using the Goodreads app while at the library. I keep track of everything I want to read (and have read) through Goodreads. I use the online library hold system liberally. When I visit the library I can pick up books I have reserved. As I am browsing in the library I can also use the SCAN feature in Goodreads to scan a barcode of any book, see its user rating, and add it to my “Want to Read” shelf. And here’s a REALLY good thing. When I am feeling like I (or we) need a little escape I go to the library. I can spend a lot of time just browsing the shelves and adding books to my Goodreads app. I have learned so much this way! I’ve also gotten to know the librarians well and get a lot of good recommendations from them. My youngest just began using Shormann Math in the fall. He had always used Saxon - it just WORKED for him. Truth be told, it was still working for him, but I anticipated he would need a bit more direction and test prep as he worked his way through the upper levels of math. After a lot of research we decided upon the Shormann Algebra 1 With Integrated Geometry Self Paced Course. It has been an excellent switch for him. As a parent I love the format - he watches a video lesson and is encouraged to actively take NOTES. He then completes the practice problems and after that is complete he can see if he got them right or wrong - and watch a video solution for each problem. There is also a Quizlet set so he is constantly learning and reviewing the GRAMMAR of math. Shormann Math goes through Calculus, which is also something we were looking for. This math has been a GOOD THING for my son (just like Mr. D Math was a good thing for my daughter!). Yes, I know my children are older - but I need to include All About Learning Press here. 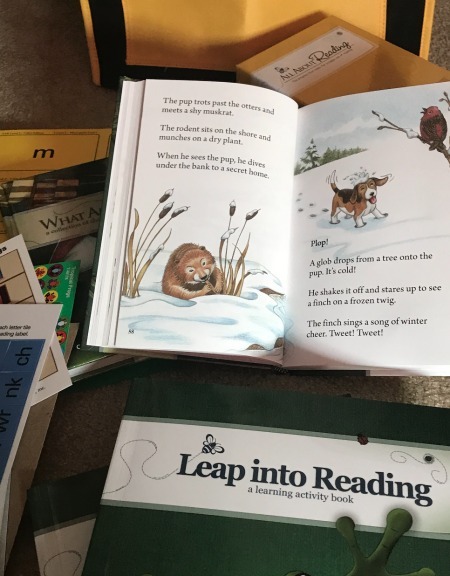 I WISH I had used this when my children were young, and I love seeing their materials now and watching other families I know use them with so much success. This consistently came to my attention in 2018 - so it made my good things list. I’m in the process of reviewing Level 2 - and it’s exciting because it is their new COLOR version. I know this program works with ALL TYPES of learners as well. Two friends of mine have dyslexic children and use this program with great success. All About Learning also supports its users with so many free resources. If you don’t know much about them, this is a great place to start. Because I am in my late 40s, my skin is starting to show its years. I feel more confident when I don’t look tired and worn out. This year I’ve been working on taking excellent care of my skin. Earlier this year I received a sample of Vasanti face wash in an Ipsy box. I used the trial size quickly and decided to get a full size product from Amazon. I use this 2-3 times each week. It noticeably brightens my face and also makes me FEEL brighter. Each morning during breakfast we have a devotion, listen to our SQUILT LIVE! calendar music, and then read aloud. You know I’m a reader, so I love my Book of the Month subscription. I can get the latest in good books at a discounted rate and I can earn free books when I refer friends. My favorite book of the year through BOTM was The Clockmaker’s Daughter, by Kate Morton. I sometimes fall down rabbit holes when deciding which book to read next, and having that ONE pick from Book of the Month each month helps keep me on course. It’s also fun to interact with the #botm community on Instagram. I consider myself extremely fortunate to be a part of a vibrant, supportive homeschool community. This hasn’t always been the case, so I consider myself blessed to have found my people. This has been a VERY GOOD THING in 2018. We share educational ideas, parenting ideas, prayers, heartaches, praises, and so much more. I learned sometimes it might take a few years to find this type of community, and if you can’t find one - be intentional about starting one yourself. I watch the spirit of the parents reflected in the children, and it warms my heart to see children caring for each other and lifting each other up. What a blessing this is for all of us. We found ourselves committing to more driving this year because of sports for my son. The sports have been SPECTACULAR for him, but I needed to find a way to adjust my attitude about the amount of driving (and waiting) I was doing. I had always thought I didn’t like audio books, but once I began listening to them I was WRONG. An Audible subscription has been good for me - as I keep up with what my kids are reading and also as I read some things just for me. This is technically a good thing for my 17 year old daughter, but I am going to do this in 2019. She uses 1 Second Everyday, an app that chronicles your entire year. She began using this app in January and took a one second video each day within the app. Each month she would show me her 30 second video of the month. Now she has the best record of her year - and she has inspired me to do the same for 2019. If you have a teen I bet they would love it, but adults love it, too! This tool is something I consistently recommend to anyone who will listen - especially homeschooling moms who have so much on their plate. Organization is my Achille’s heel, and this meal planning and grocery shopping tool truly helps. I have been using this for seven years and cannot imagine life without it. Plan to Eat allows me to save recipes online, create a meal plan, generate a shopping list, and share recipes with friends. I can easily save a recipe from any website and I can also enter my own recipes. There is also a very handy app for when I am in the grocery store, or just needing to look up a recipe. This is seriously A GOOD THING. ﻿Our lives are full of GOOD things, and I am thankful for the chance to look back and record mine, and now share them with you. Did you have a GOOD THING from 2018? Maybe it can become a good thing for someone else in 2019! So many of you followed my journey to BEECH via Instgram, Facebook, and Twitter. I hope you'll share what you learned. Just a wee bit jealous! What an awesome place to have a blogging conference!